Hip hop legends Cypress Hill will go on tour just after the release of their ninth album Elephants on Acid. The band have been cemented in music's history ever since they first hit the scene in 1988 and became the first ever Latino American hip-hop recording group to go platinum. The group have sold over 20 million copies worldwide across their nine album career and have been nominated for three Grammy Awards. Their self-titled debut album released in 1991 performed outstandingly and sold over 2 million copies. The groups second album Black Sunday went triple platinum and included their super hit song 'Insane in the Brain.' This tour marks the release of their latest album Elephants on Acid. Seen Cypress Hill? Loved it? Hated it? Sound good to you? 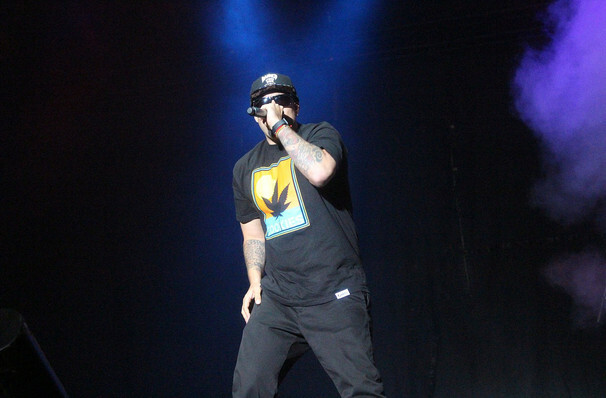 Share this page on social media and let your friends know about Cypress Hill at The Aztec Theatre. Please note: The term The Aztec Theatre and/or Cypress Hill as well as all associated graphics, logos, and/or other trademarks, tradenames or copyrights are the property of the The Aztec Theatre and/or Cypress Hill and are used herein for factual descriptive purposes only. 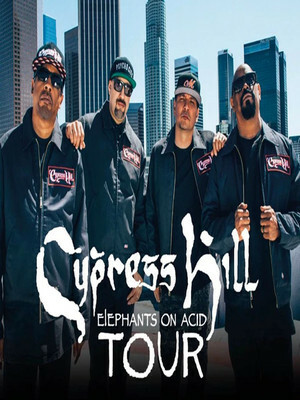 We are in no way associated with or authorized by the The Aztec Theatre and/or Cypress Hill and neither that entity nor any of its affiliates have licensed or endorsed us to sell tickets, goods and or services in conjunction with their events.